Do you dream of staying somewhere full of reclaimed wood, craft cocktails, man buns, and gourmet coffee shops? 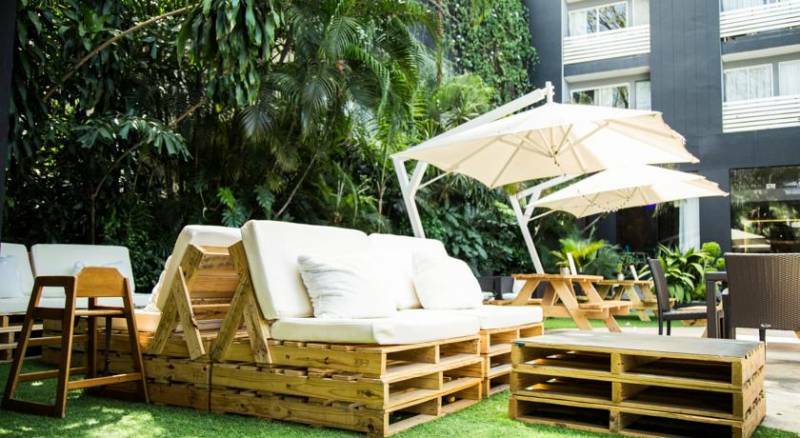 Here’s a look at the best 7 “hipster-friendly” hotels in Panama City, Panama. 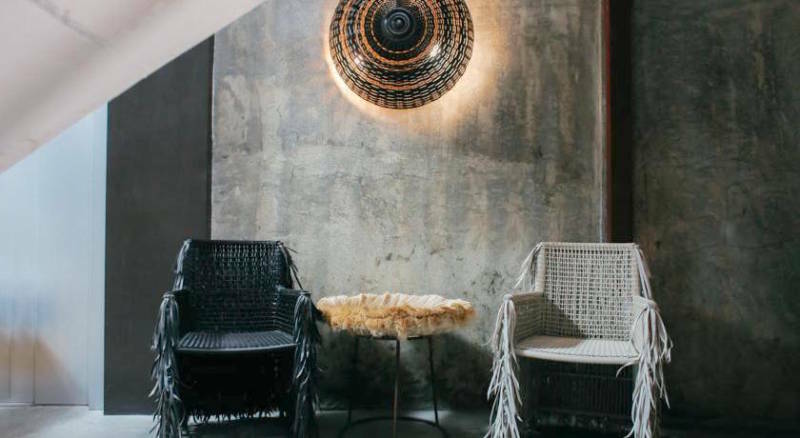 Tantalo is located in the hip historic area of Casco Viejo and was one of the first boutique hotels in Panama City to focus on designing creative spaces for their guests. 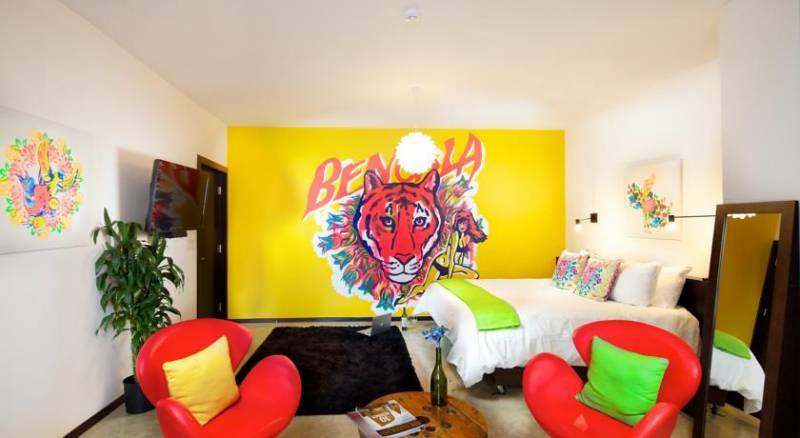 Each room has been uniquely designed by local artists using inspiration from the tropical city life around them and throughout the hotel are items that are upcycled into lighting, furniture, and decor. 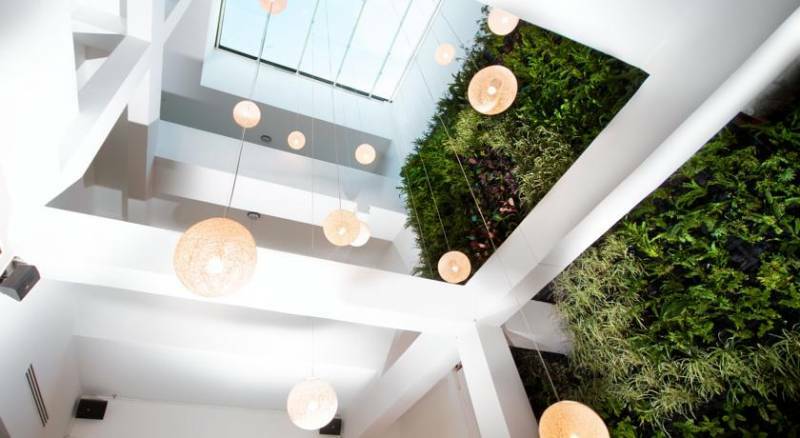 The main floor restaurant features an amazing 4-story live plant wall that utilizes reclaimed rainwater surrounded by mesmerizing murals covering all the walls. Be sure to visit the hipster-friendly rooftop bar for a fantastic view of the city skyline and a craft cocktail. 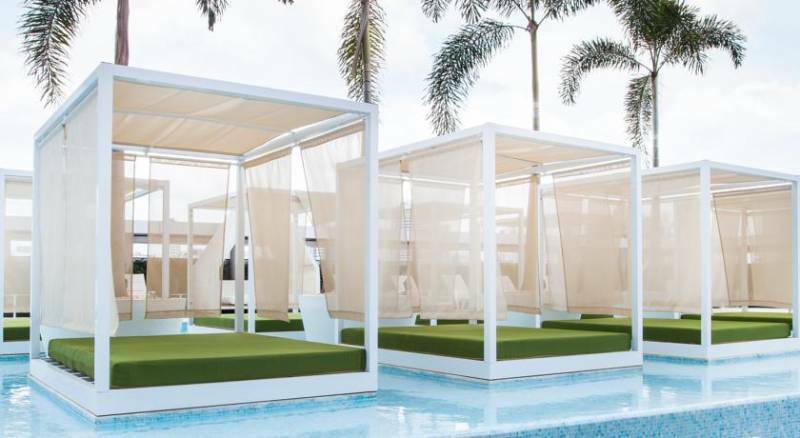 This funky hotel in Panama City offers a tropical swimming pool; a Biergarten stocked with craft beers, sundeck, and a unique style that will keep you looking around. It’s also walking distance to Mentiritas Blancas, which is very hipster and one of my favorite spots for a cup of coffee. Hotel Casa Panama mixes the trendy and eclectic atmosphere of the Casco Viejo neighborhood while still staying true to its original structure that dates back to over 300 years. With a large open floorplan and minimalistic architecture, the hotel has 31 uniquely designed rooms, two restaurants, a beautiful rooftop terrace, and a small swimming pool you can enjoy year-round. 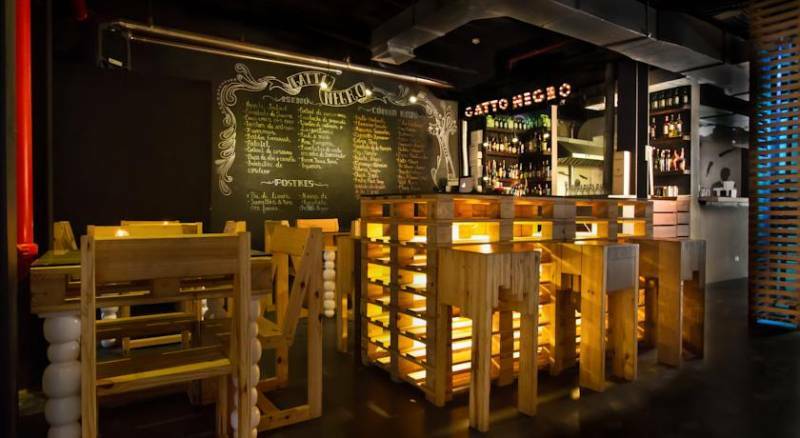 It’s also one of the best deals for hipsters on a budget that want to stay in Casco Viejo, which is arguably the coolest neighborhood in Panama City. The Sortis Hotel is in Panama City’s Obarrio neighborhood which doesn’t get any more central than that. This area is known for its banking district, boutique stores, classic mansions, and gourmet restaurants which are all steps away from the hotel. Hotel Casa Nuratti offers a creative industrial style environment with utilizing pallets and tons of artwork throughout the hotel. From Thursday – Saturday visit the rooftop bar for house music, cocktails, and sleek skyline views. 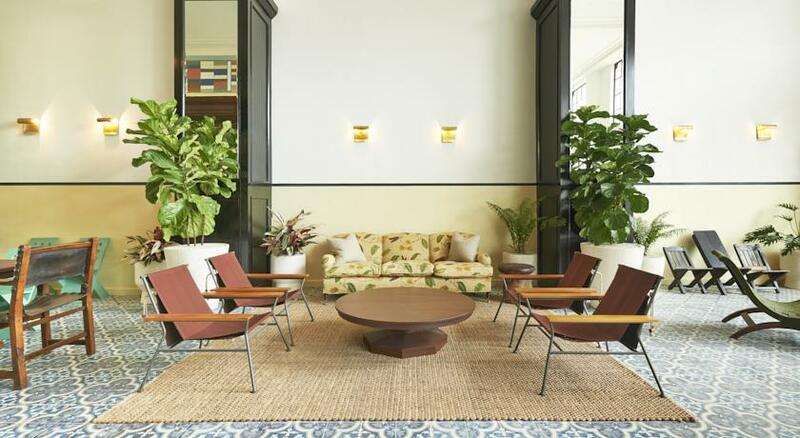 The American Trade Hotel is part of the Ace Hotel Group, which is basically hotels for hipsters. This 50 room boutique hotel has done a fantastic job of creating a stylish environment that mixes old with the new: classic painted tiles, dark weathered woods, modern furniture, and light colored walls create a stunning contrast. Besides the eye-catching lobby and rooms, the hotel has an array of amenities to keep you entertained. Grab a premium cup of coffee at the attached Unido Cafe, enjoy fine dining at the lobby level restaurant, listen to an amazing jazz concert at Danilo’s Jazz Club, and take a dip in the rooftop pool after a hot day of exploring Casco Viejo.